For products that stand the test of time and get better with age, leather is still the material of choice. A recent search on Etsy, an e-commerce website where people from around the world buy and sell unique goods, delivered 1,092,774 results for the search term “leather.” From economical to high end, a full range of products are available from budding leather crafters to experienced artisans. Jewelry – Artists are designing a wide range of jewelry from leather including wrap bracelets and necklaces. Oftentimes adorned with beads, spots, studs, nameplates, and more, jewelry making is a great way to express your unique style. Handbags and Luggage – There is something luxurious about carrying a well-made handbag or piece of luggage handcrafted from leather. Whether you take pride in your precise stitching or intricate tooling designs, these items are the perfect canvas for your skills. Try your hand at crafting personal accessories and adding special details that cannot be duplicated in today’s mass merchandise society. Belts – Perfect for your own use or as a special gift, handmade leather belts are coveted not only for their beauty, but also for their longevity. Compare the life of a leather belt to that of a mass produced belt constructed from man-made materials. There simply is no comparison. From simple and sleek to highly detailed and decorated, belts are always a popular project. Pet Collars – The demand for items for our four-legged friends is growing year after year. Making collars is a fun way to utilize your talents. Tooling, conchos, spots, spikes, specialty hardware, hair-on hide inlays — the options are limited only by your imagination. Garments – Maybe you’re interested in the latest fashions? If so, making wearable art can be very fulfilling. From classic apparel to unique costumes, garments made from leather are always in high demand. 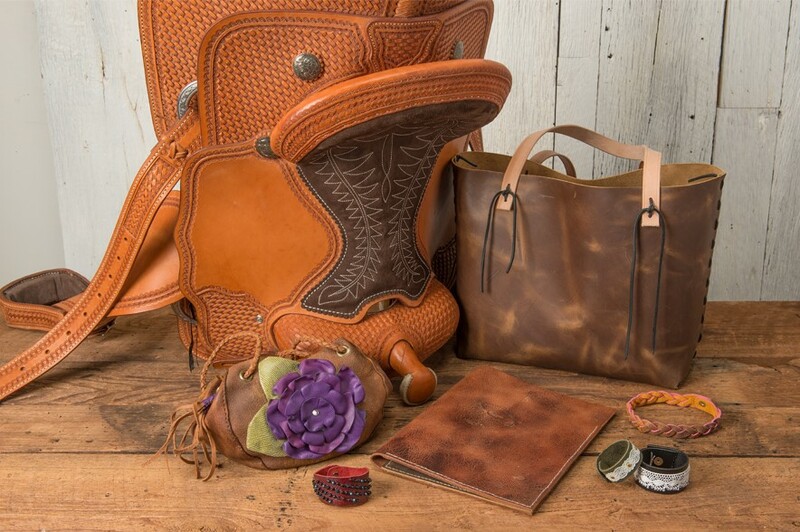 As you can see, there are numerous projects to consider when you want to utilize or expand your leather crafting skills. Check out what others are working on for inspiration and pick something a bit out of your comfort zone. This is a great way to challenge yourself and hone your craft in the process.